This is the bedroom in our self-contained luxury apartment on our vineyard, separate from our house, which we built at the same time as our home in 2007. 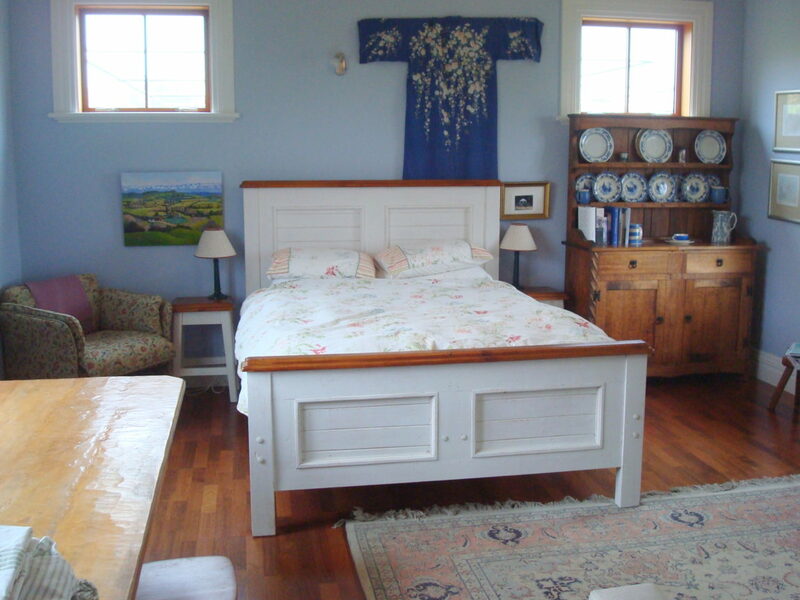 Everyone who sleeps here says the bed is very comfortable, and the room is very spacious – double wardrobe, lovely azure walls same colour as the Wairarapa skies in summer. I have just listed this on Air BnB so couples can come and stay here (maximum two people per night, minimum one night stay). We’re about 7 or 8 kilometres out of Martinborough. Guests can either relax and enjoy our vineyard – the winemaking process during harvest, wander around our 11.5 hectares and learn a little about viticulture, or take the public walk, Rapaki Walk, over the hills into the village. There is also a fully equipped kitchen, and large modern bathroom with high-pressure shower. Breakfast is included, and at extra cost we can provide dinner and our wine if guests don’t feel like driving into town for dinner at one of the excellent restaurants in the village. Dinner and wine are the only extra charges. I can cater for gluten free. 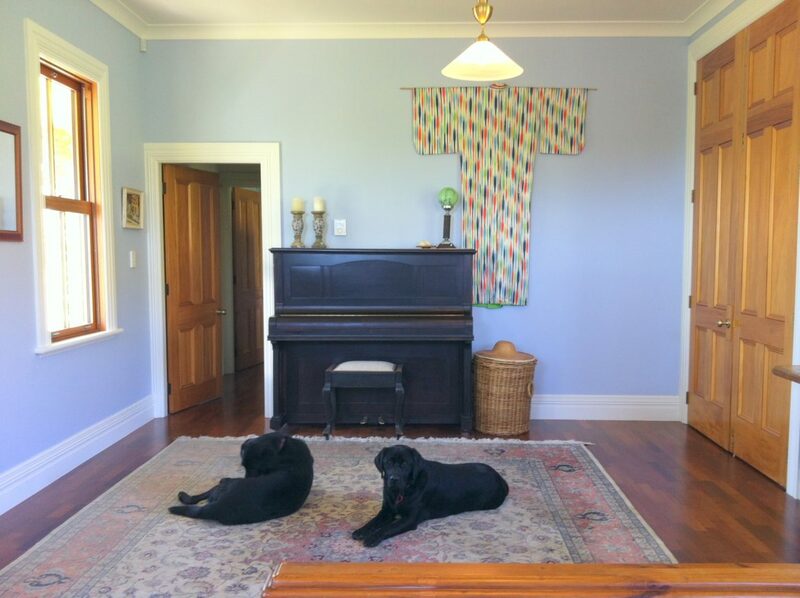 This is a wonderful opportunity to stay in a rural, peaceful, vineyard, with chickens, ducks, our two Labradors, the impossibly lazy cats, and I will assist in any practicable way I can. 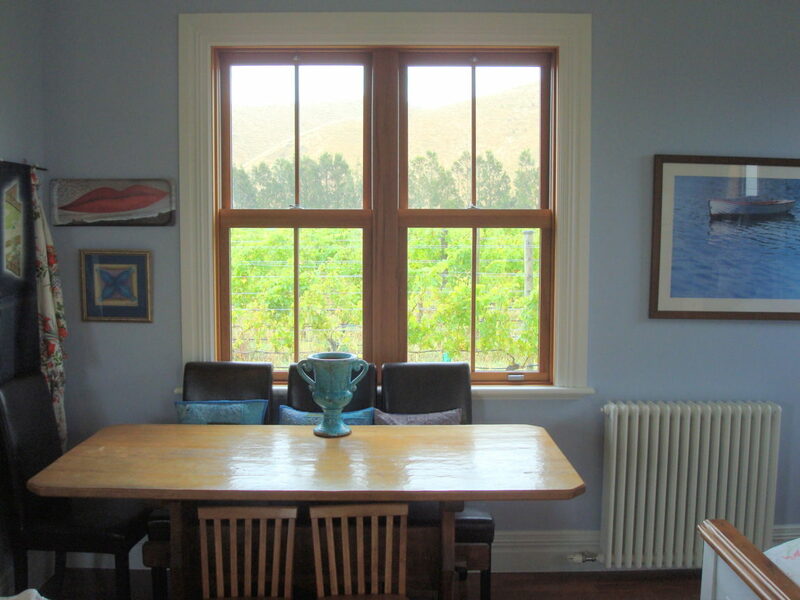 Check out Redbank Estate on Air BnB, Martinborough.